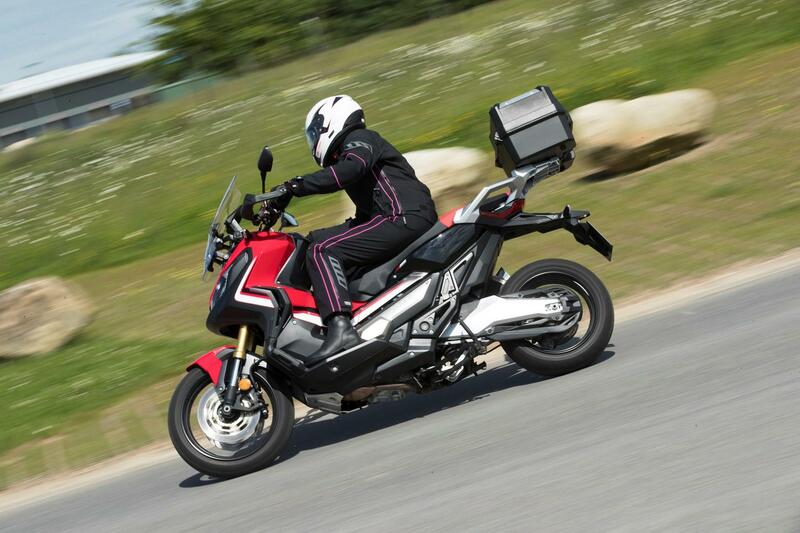 Owners of Honda’s oddly attractive scooter-adventure crossover X-ADV should check with their dealer whether their model is affected by a FEMA listed recall for model year 2018/18-plate bikes. The problem centres on persistent low-speed riding that could see the PPTC control module overheat, kicking the ECU into safe mode, preventing the bike from changing gear and resulting in a potential loss of power. Although not an official recall from Honda themselves, if you feel you might be affected, please contact your local supplying dealership. Although the Honda X-ADV is still a scooter, it actually uses the firm's DCT gear system, meaning it can offer a dynamic ride that other maxi-scooters can only dream of. It's engaging to ride and will handle light off-road work should you fancy it, however an OTR price of £9959 means it's firmly in the territory of 'proper' adventure bikes, such as the BMW F850GS and Suzuki V-Strom family. For 2018, Honda gifted the X-ADV with a 'G switch' for off-road and a two-Level Honda Selectable Torque Control (HSTC). A 35kW version is also now available for A2 licence holders.